Comprised of several intersecting stories and incorporating historical events like the beginning of railways, the 1832 Reform Act, and the death of King George IV, George Eliot created this fictitious town, the novel's namesake, Middlemarch, A Study of Provincial Life. 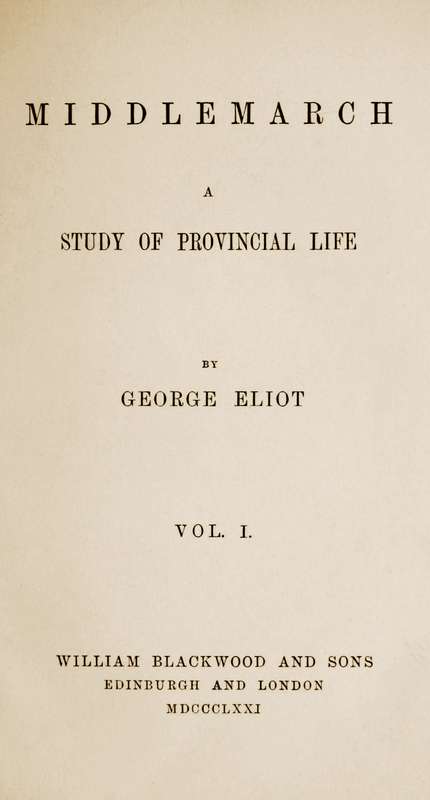 Eliot's novel was first published in eight installments in 1871-1872. The work includes medical science of the time and its theme is unwanted change in a close-knit community. Return to the George Eliot library.